Prototype: Royal Prussian Railroad Administration (KPEV) class G 8.1 with a type 3T16,5 tender. The locomotive looks as it did in Era I. 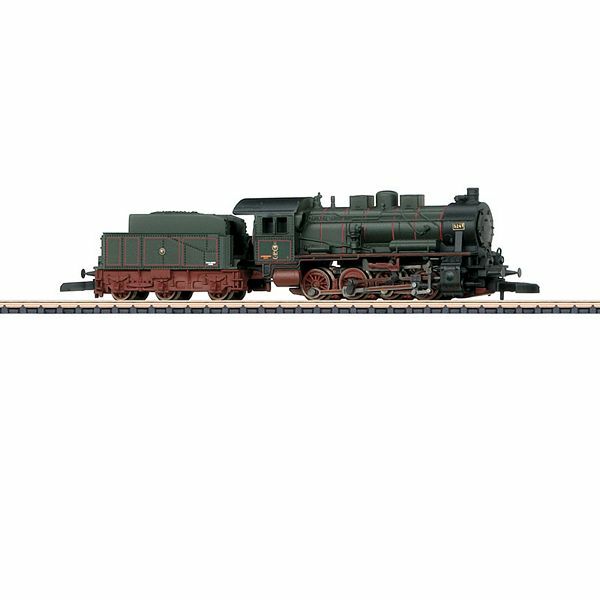 Model: The locomotive has a motor with a bell-shaped armature. It also has fine, fully working valve gear, imitation brakes, older design buffers, and LED headlights. All driving axles powered. Length over the buffers 84 mm / 3-5/16". Spoked wheels on the tender. Increasing trainloads in Prussian freight service required more powerful steam locomotives starting in 1908. This resulted in the further development of the successful class G 8 in 1913, the class G 8.1. Its boiler was basically the same as that of the G 8, but the use of thicker sheet metal and a larger diameter made it heavier than its predecessor. Thicker sheet metal was also used on the frame thus increasing the unit's adhesion weight. The new tender, the Prussian type 3 T 16,5, was developed just for the G 8.1, which clearly expanded the locomotive's operating range. The G 8.1 (DRG class 55.20-56) had become one of the German steam locomotives built in the largest numbers. In only eight years, the Prussian-Hessian State Railways placed 4,958 units in service. In view of its quantity, it is no wonder that this 55 km/h / 34 mph fast and around 1,260 horsepower unit with four driving axles was at home on all of the rail lines. 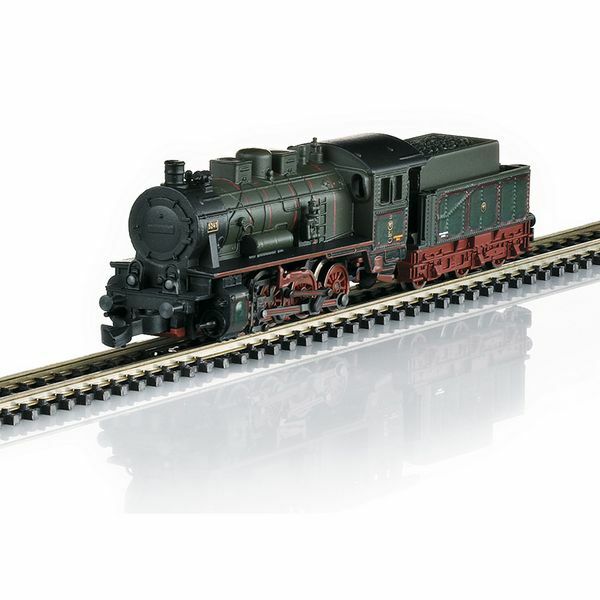 The three-unit freight car set stands as a symbol for the "good old days". It consists of typical cars: a coal gas car (for car and station lighting), an Association design boxcar transporting any kind of "packaged" load as well as a beer refrigerator car for the replenishment of this generally popular "liquid gold". With the G 8.1 pulling it, you have a very prototypical freight train that leaves nothing to be desired.